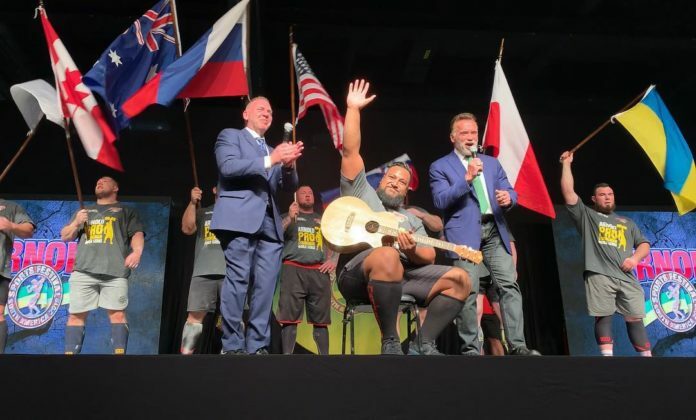 Central Coast strongman Eddie Williams put on a performance of a different kind at the ‘Arnold Strongman Classic’ in South America. He finished 8th in the competition and was invited up to sing ‘Lean On Me’ by Arnold Schwarzenegger himself. The strongman is a wedding singer in his spare time. Arnie posted a video of the impromptu serenade on social media and it’s already racked up more than a million views.